A few simple travel hacks can make your European OE even better. If your European holiday consists of what mine did, you’ll be sure to have an unforgettable time. Spontaneous adventures down back alleys of ancient cities, the balmy Mediterranean sun and Rome’s best gelato are only some of the amazing experiences I had. So whether you’re ticking off the main sites in the west or venturing to parts lesser known in the east, here are four experiences that are sure to leave you with lasting memories of your first European holiday. 1. Test your language skills. It may take some pre-planning but learning another language and actually putting it to use is one of the most rewarding travel experiences. Plus, locals will appreciate your attempt to respect their culture. A rail pass is one of the best investments you can make in Europe. 2. Get a rail pass. 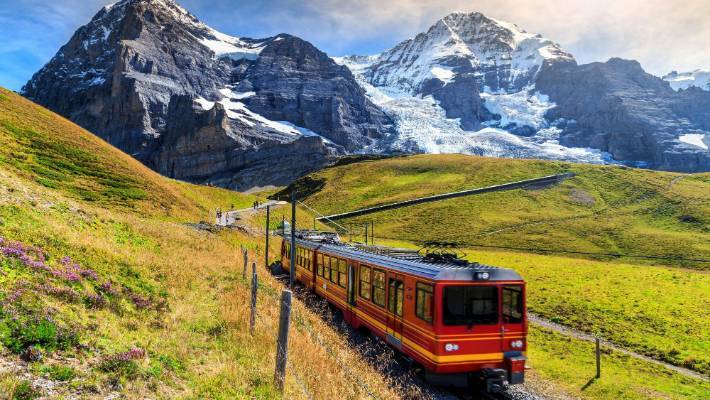 Aside from being extremely convenient, a rail pass is a perfect way to travel around different countries. Gazing out the window to watch the landscapes swish by lets you experience the sights a different way. 3. Jump on a boat. Much like seeing more by train, hopping aboard a boat offers a different perspective of any city. 4. Seek out a festival. Europe has some of the best in the world. From Amsterdam’s King’s Day to Munich’s Oktoberfest, the European events calendar is jam-packed with once-in-a-lifetime festivals that will give you take an authentic look into local life. Next articleEurope’s best hotel is a glamorous Italian resort with a spa that makes you feel like you’re under a starry night ‘sky.’ Here’s what it’s like to stay there.